SKU: m7110white. Listed in: Masks, Masquerade. 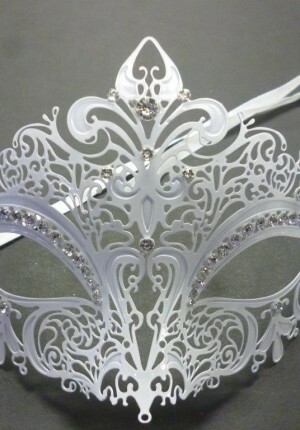 Tags: mask, masks, masquerade, venetian, White. Beautiful Venetian laser cut metal mask. White with silver crystals. 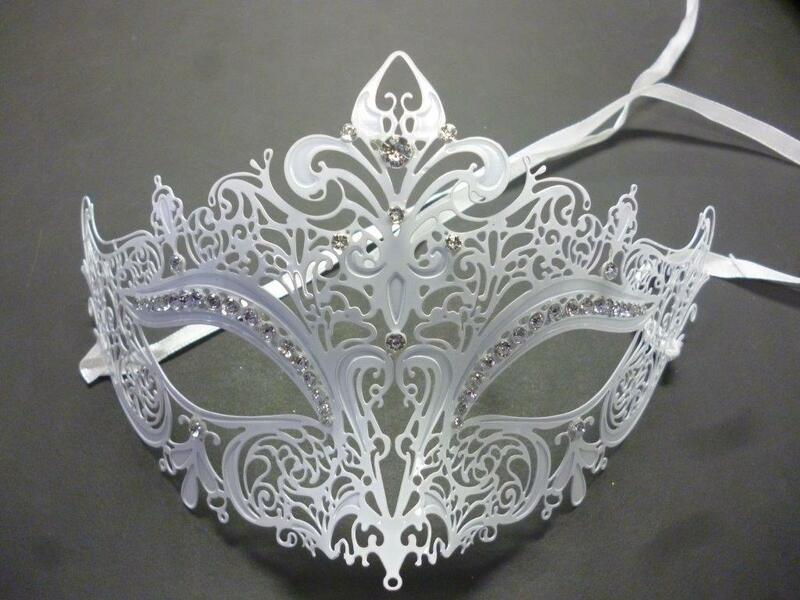 Perfect for a masquerade ball.